For the past month I've been using the Cora X2 Facial Cleansing System from Fancii and after a month of use, I've had enough time to give you my thoughts on it. Fancii is an up and coming online retailer for beauty, health, and personal care needs. They believe in offering affordable prices without sacrificing quality. Fancii offers three facial cleansing systems through their online website, ranging in price from $35.99-$39.99. This is easily a quarter of the price of other facial cleansing brushes available on the market. The Cora X2 Facial Cleansing Brush is 7x more effective at cleaning your skin than your bare hands alone. The brush works to reduce the appearance of pores, renews skin texture, improve blood flow, and so much more. There are two speed settings designed for gentle exfoliation and daily deep cleansing. The brush also comes with two brush heads, the 'Spin Head" and 'Sonic Head" and is completely waterproof so you can use it in the shower or bath! I actually prefer using the Cora X2 brush in the shower, because I find that the bristles splash a lot of water around if I use it over the sink. I also like to really get into cleansing my skin, so it tends to get messy, and it's just easier to use my foaming cleanser in the shower. In terms of battery power, I have used the brush once every day for the past month, and I still have not needed to charge it, so the battery lasts a pretty long time. I love using a cleansing brush at the end of the day to clean my face because I feel like it is the most effective way to thoroughly remove any makeup, oils, and dirt from my pores. The Cora X2 brush comes with two different brush heads. The first is a sonic brush head, which oscillates at over 100 movements/sec to deeply exfoliate your skin. The second is a rotary spin head which rotates 360 degrees to gently clean the skin. 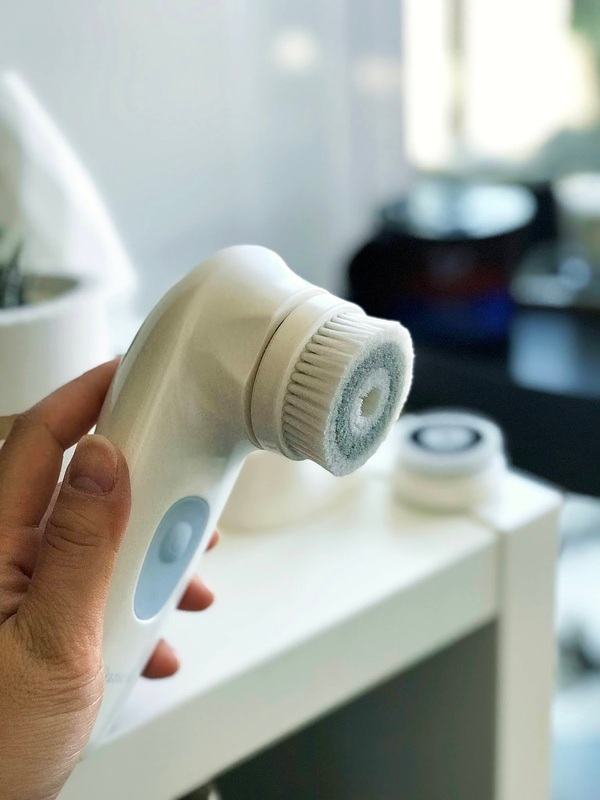 I prefer using the rotary spin head because it helps my cleanser foam up a lot better and the bristles are a lot softer and longer whereas the sonic head is denser making it more ideal for exfoliation although I prefer using a microexfoliant anyways. 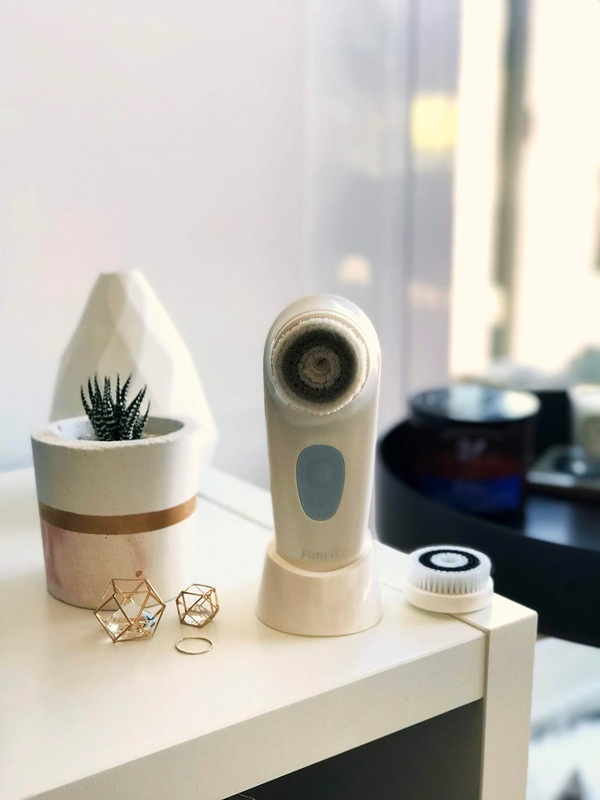 PROS | cleanses, foams up facial cleansers, has two speed settings, comes with two different brush heads, soft bristles, waterproof, rechargeable with a USB, super affordable! Overall, I really like the Cora X2 Facial Cleansing system from Fancii. I like that not only is it a great facial cleansing brush, it is also super affordable. You can find this system along with the other Fancii products on Amazon and on their website. Disclaimer* Product sent complimentary for review.